Skills and knowledge in basic gelato training with hands on practice. Resource and recipe manual, a uniform and a certificate of participation. Resources and uniforms are supplied. William Angliss Institute together with Majors Group Australasia and Carpigiani Gelato (CGU) have collaborated to offer CGU gelato making courses in Melbourne, Australia. This is the first of its kind in Australia and is the same course as that being offered at CGU headquarters Bologna, Italy. The Gelato Course Level 1 is designed for aspiring gelato entrepreneurs who require an understanding of the world of gelato through training and practical experience. This course is also ideal for current industry professionals who need to upskill and expand their gelato making knowledge and skills and for new entrants into the gelato industry. The primary objective of this course is to teach basic theoretical and practical concepts required to produce gelato of a superior quality, using latest generation laboratory machines. 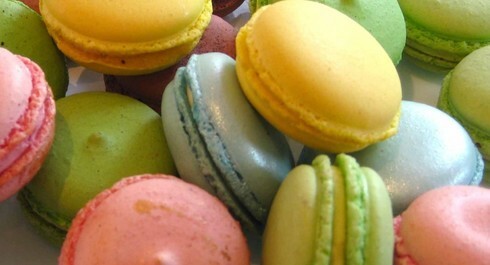 In five days, you will experience how to produce gelato, sorbetto, gelato pastries and stick gelato. The course will be structured with theory lectures and hands on practice in small groups in a commercial kitchen. • Artisan Gelato: what is it? • Storage and presenting gelato for a showcase. 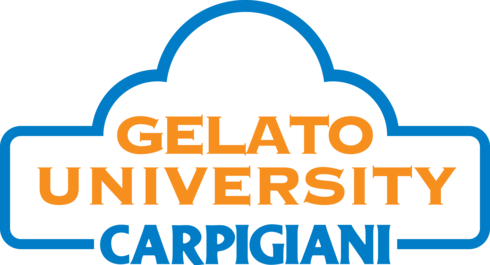 Additional topics covered in the course are mandatory hygiene standards in the laboratory and kitchen practices, food safety themes, design and location of a gelato business and communication and behaviour within the store. Attending this course will provide you with accurate knowledge and practical skills to be confident with the first steps of operating a gelato laboratory or business. Once the course is booked and paid, you will be emailed a username and password which will give you access to the online hygiene component. Please note that the online component needs to be completed prior to attending the course.